DVD-Cloner Knowledge Base / About DVD Copy / How to Copy a DVD to your iPad cellphone other mobile devices? How to downgrade firmware on UHD friendly drives? If you're having trouble with firmware of downgrading, Plug and Play UHD friendly drive- CA-BW-16D1HT is highly recommended. Currently, many newly purchased UHD friendly optical drives are no longer working directly. Don’t worry. Downgrading the firmware could address the issue easily. Now I will explain how to downgrade firmware. 1. Check if your drive is supported. Make sure your UHD drive is a UHD friendly drive. You may check it out at the list ofUHD friendly drive. 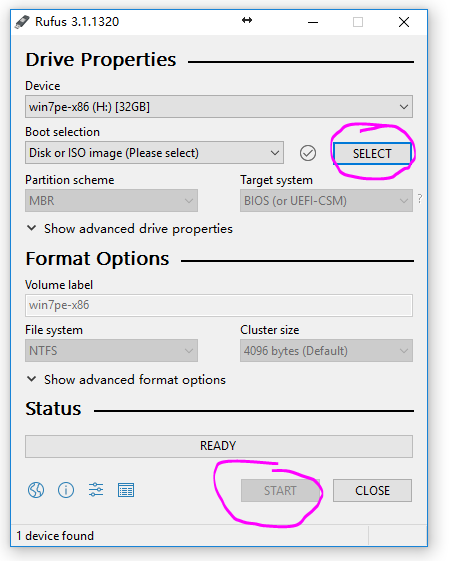 If your UHD drive is not in the list, the tutorial does not apply to your UHD drive. An empty USB drive, at least 2GB in capacity. 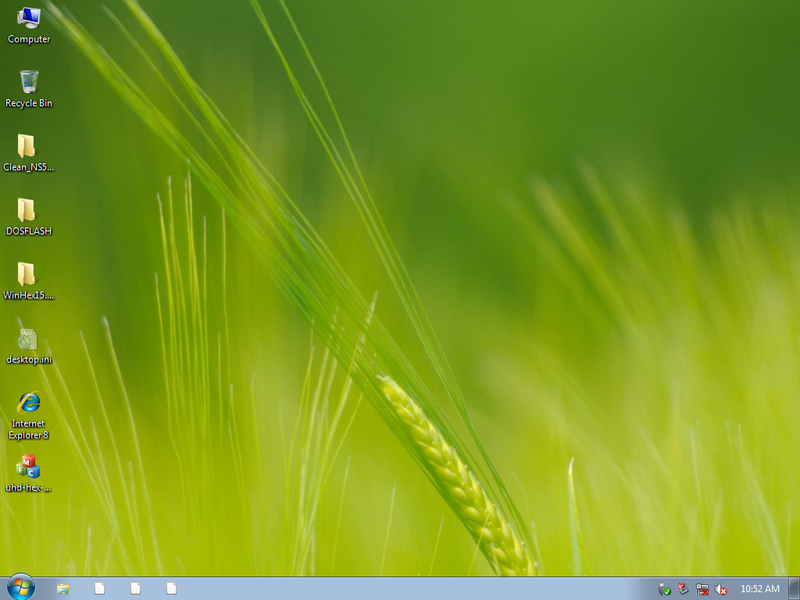 A desktop computer, an older operating system is preferable. Note: It is strongly recommended to disconnect your computer hard drive first to prevent a possible damage to your files. Now please connect the UHD drive that needs to be downgraded to the computer. Then insert the USB disk. Turn on the computer and press Del to enter the Bois settings (The exact steps to enter the setting may vary according to your computer. 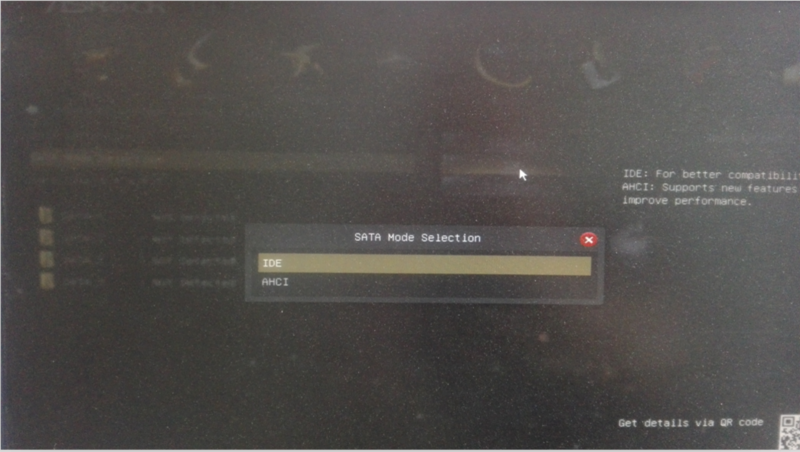 ), then find SATA mode selection, click and switch to IDE mode. 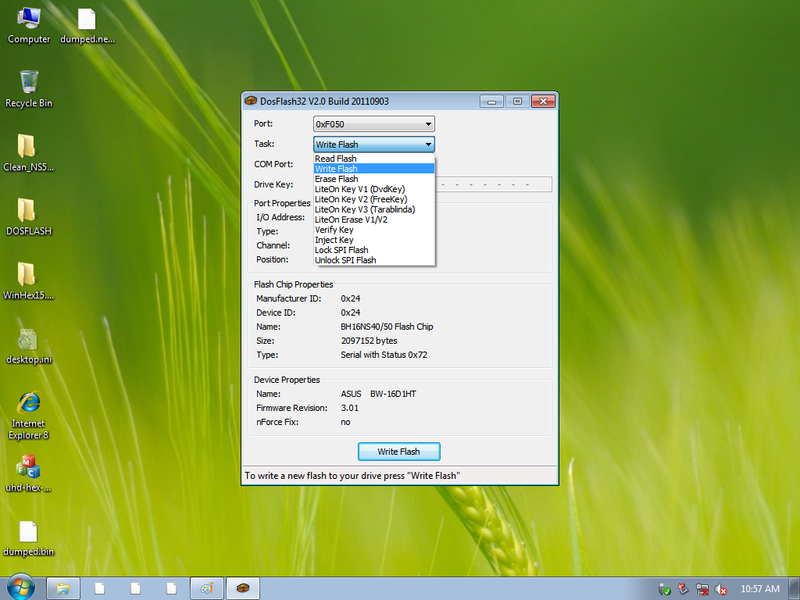 For the latest operating system, you may not be able to find an option to set the IDE mode. So please try to use an older operating system. After completing the above settings, you can save and restart the computer. When the PE system is successfully booted, you’ll see the followings on your computer desktop, and there are already a lot of software we have to use on the desktop. Launch “DOSFLASH\DosFlash32_BH16NS40.exe” software. Then click “read flash” button to dump the firmware to desktop and named as “dumped.bin”. Don’t close the software, we need to use it later. For the “Dumped firmware”, you should choose the firmware file you just dumped(dumped.bin). The “Clean firmware” requires you to choose from the folder “Clean_NS50_compatible_firmwares” according to your drive name. When the selection is complete, click the OK button. After the patch is completed, a firmware file with a new suffix will be generated on the desktop. Important! Please copy the dumped.bin file to a USB flash drive for future restoration in case of a failure. 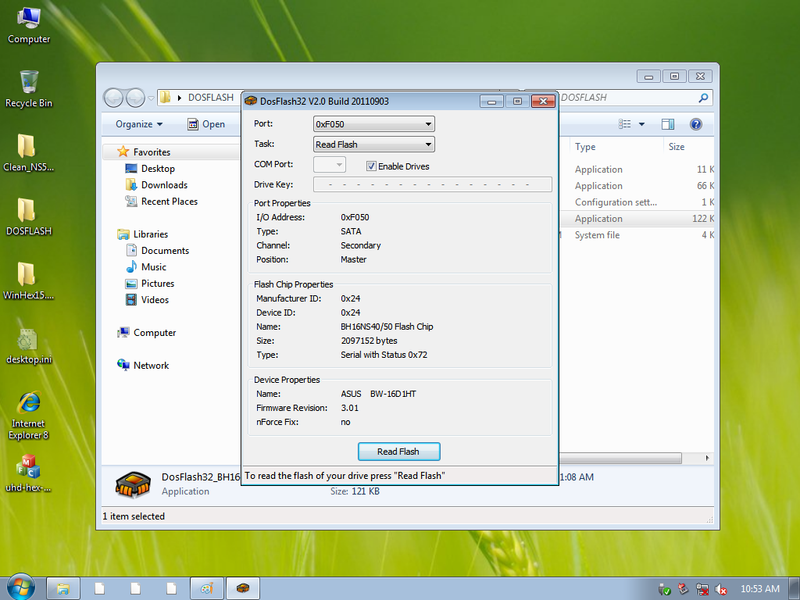 Back to DosFlash32_BH16NS40.exe, change the task to write flash. 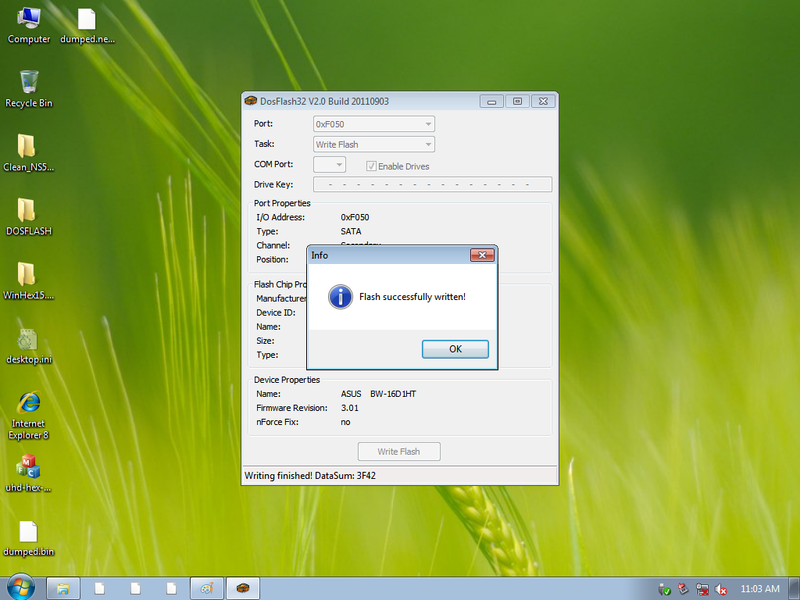 Click the write flash button, select the firmware file just after patching (dumped_new.bin). Then wait for the burn to complete. Now the Firmware downgrade is completed, please shut down all the software and restart the computer. After rebooting, please have a try to see if the drive can recognize and read UHD discs. If there are any unexpected errors, just try again or burn the backup dump.bin file to restore the drive.